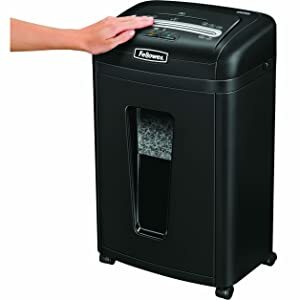 If you are looking for a shredder which assures maximum safety the FellowesMs 7-Sheet Micro-Cut Shredder with SafeSense can be your best bet. Don’t worry about the safety of the people around you as this shredder comes with the unique SafeSense technology which inactivates the blades as soon as hands come in contact with them. With 10 X smaller particles than possible with usual shedder expect complete protection from possible identity thefts and other issues that can result from document thefts. Its ability to run for 8-10 minutes at a stretch speaks about its strength as it efficiently cuts through CDS, DVDs, Credit Cards, staples, pins and folded papers. Its sleek design and attractive colour combination makes it fit for any modern office. 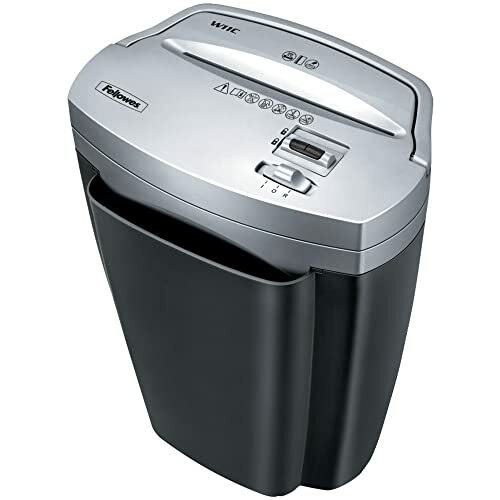 This shredder is ideal for any small office because of it is high level of efficiency and smooth performance. 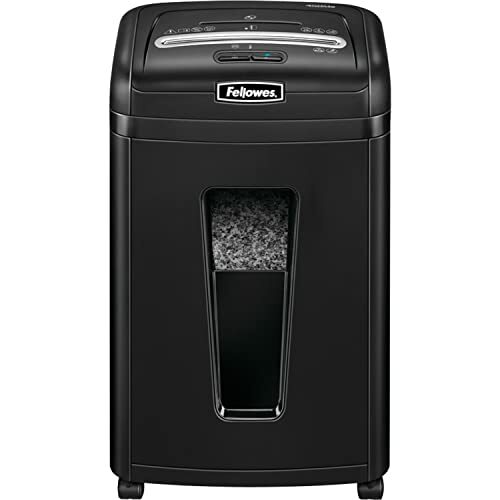 If you have paper waste at home that require being disposed in a secure manner you can easily go for Fellowes 450Ms 7-Sheet Micro-Cut Shredder. It is safe enough to keep at home because of its Safe Sense technology and does not make noise to disturb the peaceful environment of your home or office. 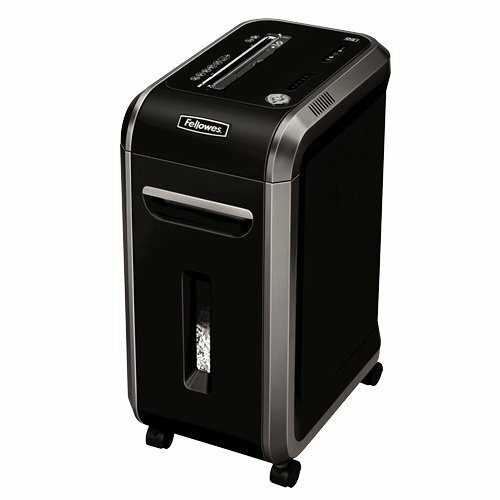 You can get rid of piles of mails and junk paper documents easily with this shredder, just allow it to cool in between cycles. The tiny bits of shredded paper also leave scope for more paper to fill the waste basket. 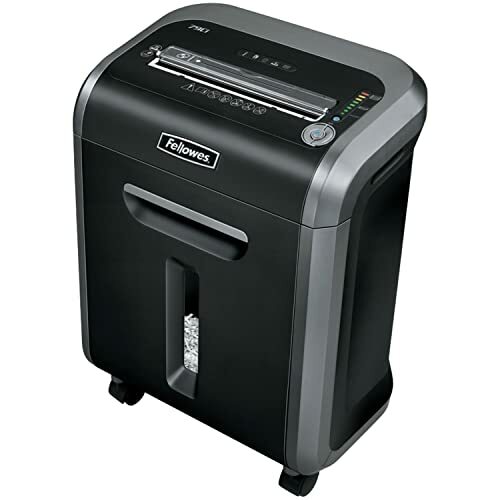 Sturdy and sleek this paper shredder will be a valuable and useful addition to any home or office. Seamlessly cuts unopened mails, paper strewn with pins and clips into 10 times smaller bits than usual cross cut. Due to overheating, the machine can run at a stretch only for 8 minutes. If motor heating can be reduced, it would be able to run for longer period. The tiny bits of shredded paper can fly in the air when the basket is pulled out, and can mess up the place. 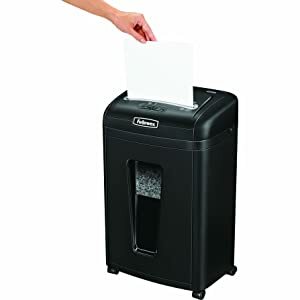 When you start using this paper shredder, the first thing you will notice is that it does not make any noise even while shredding 7 sheets together. Its motor is strong but quiet and the only sound one can hear is the sound of shredder teeth reducing the paper into bits. The bits are so tiny that you can’t even make out an alphabet in the shredded paper which provides ultimate protection. Even as you shred 7 papers together which is the maximum number of sheets, the machine can shed in a single pass, there is no sound and you can only feel the machine working a bit harder. You will experience that despite continuous shredding 4-6 papers, the machine does not slow down until the machine stops to cool down. Yes, you might feel that the run time of 7 minutes should be a little more but it is a lot better performance wise than many other shredders in the same range. 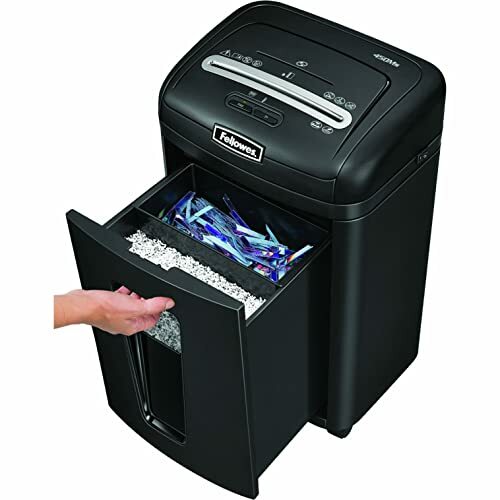 This machine ensures ultimate safety as it can shred paper into 10 times tinier bits than the standard cross cutting provided by other shredders. In case there is a paper jam, the AutoReverse technology stops and reverses the paper and so shredding can be done with ease without any fear of paper jam. There is no fear of anybody getting injured with this shedder because the SafeSense technology stops the blades as soon as they come in contact with hands. You can expect lower power consumption as it uses 120 volts only. Since the pull out basket can hold 80% more per gallon, you just need to push the shreds when it is 3/4th full and you will not need to empty the bin for at least 1 week. To avoid mess while emptying the bin shake it a bit so that the shredded particles settle down. Always allow the shredder to cool down properly in between cycles. 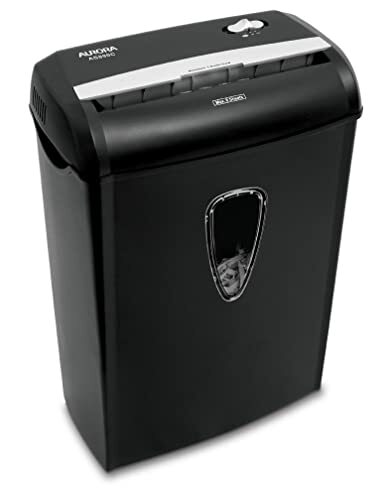 Perfect for any small office and home use Fellowes 450Ms 7-Sheet Micro-Cut Shredder with SafeSense provides full proof protection as it cuts the papers 10 times smaller than the standard cross cut. It effortlessly shreds papers, credit cards, CDs, DVDs and even pins and clips. Being durable and sleek in looks, it is fit for any modern setting. It has shown great performance for years together without any complaint and so it makes a great buy for its price.